Genevieve Thibault went straight to work after graduating from Selkirk College Selkirk College’s Recreation Fish and Wildlife Program, taking advantage of Co-op Education & Employment Services (CEES) to launch her career. From Castlegar to Vanderhoof smack dab in the centre of British Columbia, Thibault wasn’t sure what to expect as the Quebec native ventured to a new community seeming remote and way up north. But it couldn’t have turned out better. 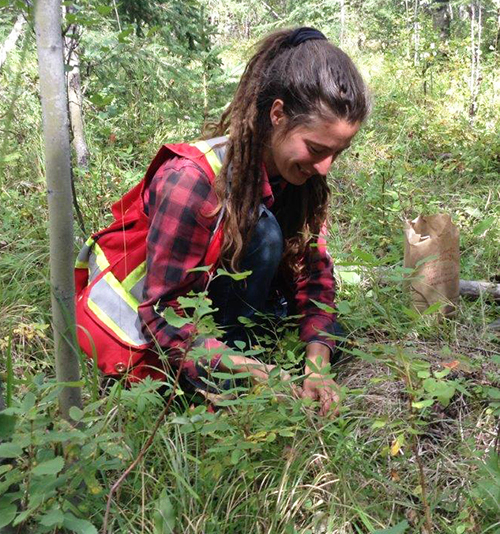 Selkirk College graduate Genevieve Thibault is collecting forage samples in the Stuart Nechako Resource District on co-op placement as a Junior Range Technician. During March 20 to 24, Selkirk College is joining institutions across Canada in celebrating Co-operative Education Week. Selkirk College’s CEES Assistant Olga Sherstobitoff explains co-op education formally connects academic studies with paid work experience enriching students’ post-secondary learning. Students taking part in Co-op Education at are able to test out a broad range of career options. The relevant and quality work experience adds significant value to their resume and increased confidence comes from practicing technical skills. “We were pleased to help Genevieve find a job that suited her education and helped her learn more about her chosen career from skilled professionals willing to mentor her,” said Sherstobitoff. Thibault worked at Ministry of Forests, Lands and Natural Resource Operations in Vanderhoof as a Junior Range Technician learning about crown land management, forest work, plant identification, the range and even about cattle and their feeding habits. “My supervisor really took the time to guide me. In a way, I felt like I was halfway between school and work,” she said. David Greaves has benefitted from two co-op placements as he pursues his Selkirk College education. Upon graduation from the Recreation Fish and Wildlife Program, he worked for Teck Resources in Trail as a Hygiene Technician. “This was a great experience rich with skill development and industry networking opportunities. This success led to my confidence in the co-op program experience,” he said. 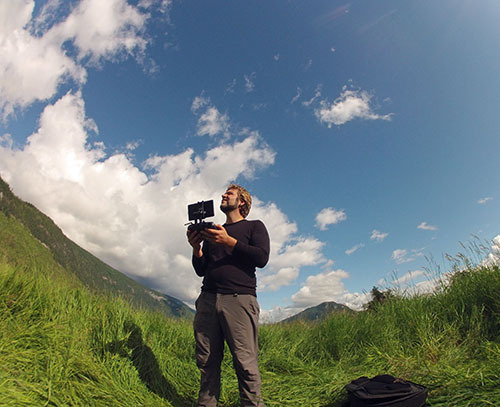 David Greaves is a Selkirk College Geographic Information Systems student captured here on location as a co-op student using drones in Meadow Creek, British Columbia. Next, Greaves earned his Advanced Geographic Information Systems Diploma and went on to be placed at the Selkirk College Geospatial Research Centre at the early stages of their integration of unmanned aerial vehicles, also known as drones. With encouragement from his colleagues and supervisor, he delved into the realm of the unknown. “Although mentorship was available and excellent training was provided to me, I was encouraged to dive in and make mistakes. This provided me invaluable work place skill development in being adaptable, dependable, and all the while documenting best practices and nuances sure to be encountered in establishing workflows,” he said. Co-op Education & Employment Services at Selkirk College is more than 25-years-old. It connects more than 300 students each year from six programs with employers around the province.